What Can I Charge As A Business Expense On My Taxes? For California business owners, knowing what expenses are deductible from tax liability is not just a sound financial strategy. It can also prevent criminal liability for tax fraud and other white collar crimes. Ensure that all your financial and legal interests are protected by consulting with an experienced California tax law attorney. Tax liability is a function of a company’s profit less its operating and business expenses. These expenses are known as the taxpayer’s deductions. Thus, the greater a company’s deductions, the less overall tax liability it will have. This causes many companies and business owners to push the boundaries of allowable business deductions. While this can reduce the company’s initial tax liability, it can also result in a time-consuming audit and heavy fines. In serious cases, it can even result in criminal liability. It is, therefore, very important for business owners to ensure that they are making appropriate, lawful deductions. 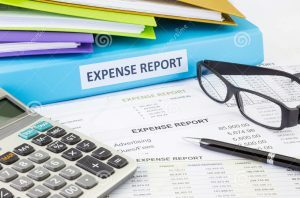 There are many business expenses which can be properly deducted from your revenue to reduce your company’s overall tax liability. Common deductions include: health insurance and retirement plans; advertising; rental or mortgage fees on your office space; building maintenance and cleaning; computers and technology supplies; professional licensure and continuing education expenses; banking and credit card fees; business travel; equipment and repairs; discounts and gifts for customers; legal fees; losses due to theft or bad debt; payroll taxes; subcontractors; utilities; and website design or maintenance. There is a wide range of deductions that cannot be made – even though they were expenses incurred by the business. Some examples are fines and penalties assessed for previous tax years; political contributions made by the business; commuting expenses; business clothing (except for uniforms); or business gifts over $25. There is also a complex set of rules for capital expenses. New businesses can deduct a certain amount of startup expenses for computers, vehicles, and other long-term assets of the business. After this, however, a business cannot deduct the full value of these expenses in a single tax year. The depreciation of these assets can be deducted incrementally over a series of tax years, and this can help offset the cost of such long-term assets. Consult your tax advisor or a tax attorney for more information about getting the most tax benefits out of your company’s long-term assets. The corporate law attorneys at Structure Law Group have experience in all tax-related matters. If you have questions about maximizing your business deductions, schedule a consultation today by calling (408) 441-7500. You may also email slgadmin@structurelaw.com or use our online contact form.